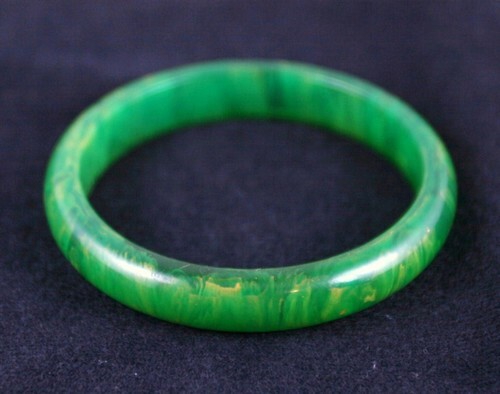 Green and yellow swirl vintage Bakelite bangle. The internal diameter is about 2 1/2 inches. Fits small to medium wrist.